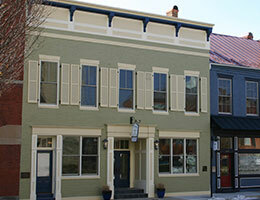 In October 2014, the City of Winchester purchased the Winchester Towers property with the intention of partnering with a developer to completely renovate the building into a useful and attractive contributor to downtown Winchester. As of April 2016, the City began exploring the option to sell or convey the property to the Economic Development Authority (EDA). At the July 12, 2016 Regular Meeting, City Council approved Resolution 2016-33 authorizing the City Manager to execute a Letter of Intent with the Winchester Economic Development Authority (EDA) for the purpose of selling 200 N. Cameron Street for $795,000. 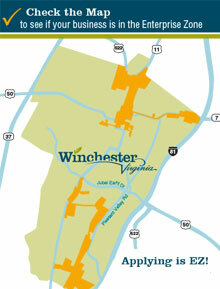 Also, during fiscal year 2014, the City of Winchester complied with DHCD’s enterprise zone funding requirement and designated $500,000 to be used for local enterprise zone projects. To date, none of this money has been spent as the EDA's budget has included adequate financial resources to fund all awarded financial incentives since the inception of the City's Enterprise Zone program. 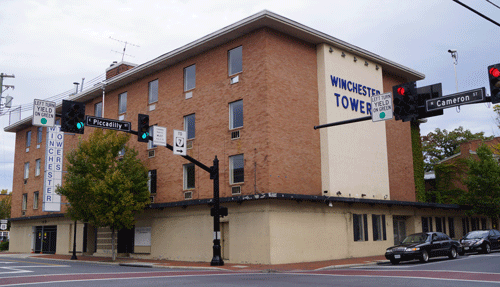 Since the Winchester Towers redevelopment project will be an enterprise zone project, the City has made available up to $400,000 of the available Enterprise Zone funding for the demolition of the Winchester Towers. The EDA entered into an options agreement with North Cameron Development Group LLC in September 2016. North Cameron Development Group is afforded time to study the property and find development partners before deciding to purchase the property from the EDA. The agreement will expire in December 2017 (extended), however, North Cameron Development Group decided not to exercise their right to purchase the building (as of 12/12/17). 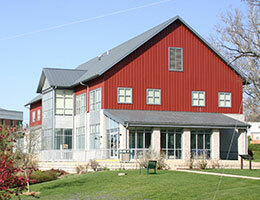 The EDA decided to evaluate other development options with potential partners. At the September 18, 2018 meeting, the EDA designated a committee to review the two companies interested in partnering with the EDA on the redevelopment of the Winchester Towers site. The two companies are Lynx Ventures of Richmond, VA and Matchbox Realty & Management Services, Inc. of Harrisonburg, VA. Redevelopment proposals have not been submitted yet. 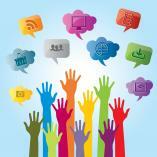 Once the EDA selects a partner, they will work together to determine the best and most viable solution for the site. The EDA committee will present their recommendation at an upcoming EDA meeting with the goal of being ready for the October 16, 2018 meeting. The EDA held a special meeting on October 25, 2018 to formally select a development partner for the former Winchester Towers site (corner of Cameron and Piccadilly Streets). The EDA authorized Executive Director Shawn Hershberger to execute a Memorandum of Understanding (MOU) with Lynx Ventures Acquisitions, LLC of Richmond, Virginia. The MOU provides Lynx sixty days to complete a feasibility study to evaluate whether the project is feasible and determine the structure of the strategic relationship between Lynx and the EDA (property owner). Lynx will also have the option to extend the feasibility study for two additional thirty-day periods if agreed upon by the EDA. At the February 19, 2019 EDA meeting, the EDA voted unanimously to extend the MOU for redevelopment of the corner of Cameron and Piccadilly Streets (former Winchester Towers site) with Lynx Ventures, LLC for a period of 60 days. The extension of the MOU serves to provide additional time for working through project details as well as negotiations with adjacent property owners.